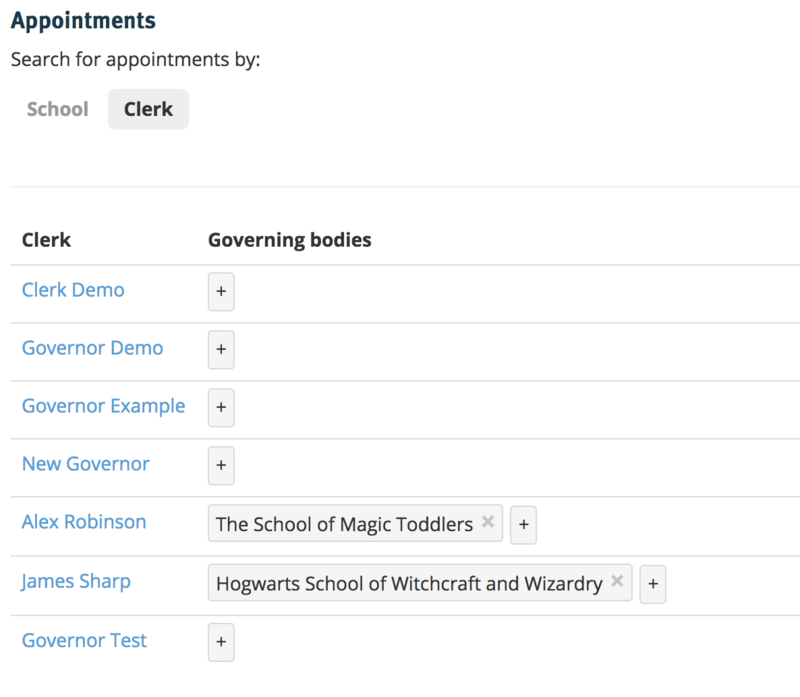 How to assign clerks from your clerking team to their schools. 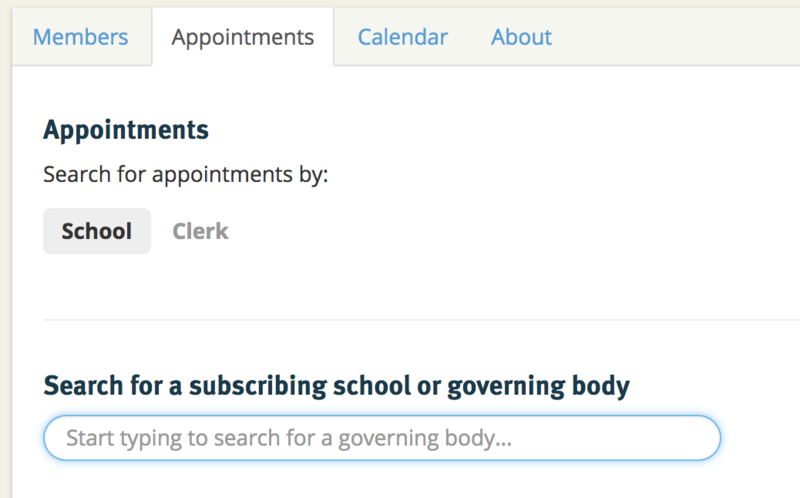 From the Clerking Group - go to Clerks->Appointments and you'll see something like the below. From here you can choose to either find a school and assign the clerk to it or find the clerk and assign a school to them. You can now assign a clerk by clicking on the "+" button and then typing the name of the clerk (and you can remove the clerk by clicking on the "x" next to their name). Find the clerk in the list, click on the "+" next to them and type the name of the school. Click on the "x" next to the name of the school to remove it from the clerk.